Accessories | Reviews and products | What Hi-Fi? The Rocket 22 is a step-up model from the Award-winning, Rocket 11 and it sounds superb for the money. 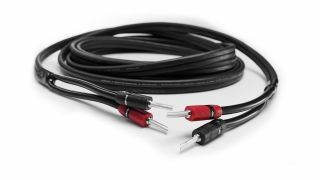 Chord Company continues its excellent run of form with another class leading speaker cable. Roksan's latest Corus cartridge marks a shift of design and sonic balance from its predecessor, but is it a positive move? These speaker cables are an easy way to get the best from your system. It might look fairly ordinary, but Lindemann’s 25th Anniversary phono stage turns out to be a star.